Foreclosure is the ultimate penalty for property owners who default on their mortgaged obligations. The true health of the national economy can often be measured by its foreclosure rate, the percentage of homeowners falling into default and foreclosure. This is particularly true in America, where great emphasis is placed on homeownership. 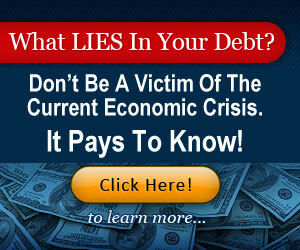 There are many reasons why mortgage borrowers fall into foreclosure . They may have bit off more than they could chew and obtained a loan they couldn't afford. Most who face foreclosure do so because a dramatic event has occurred, which has affected their ability to make payments, such as job loss, health problems or major emergency. Investors who face foreclosure often do so because they miscalculated, though occasionally mismanagement may be the cause. Regardless of the cause, the foreclosure process is a stressful and drastic event for most property owners, especially homeowners. Depression and despair are common results of foreclosure . But the truth is that property owners facing foreclosure have many tools and options available to them. Foreclosures can be fought and reversed, and borrowers have the right to redeem their property-even after the foreclosure sale in many states. 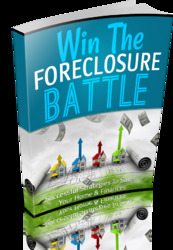 Get All The Support And Guidance You Need To Be A Success At Beating Foreclosure. This Book Is One Of The Most Valuable Resources In The World When It Comes To Successful Strategies To Save Your Home and Finances.